only 60 more to go but looks like I need a little break...my mountains are a little wonkie on the left. Hope that's the only one that got out of sync. I took a break and worked on some BOMs since it is the end of May. This is from Shannon at Pieceful Kwilter...I'd tell you to join in the fun but the blocks are only available for that month...so you've missed the first five. She does a nice job with her directions. Maybe she'll do another one next year! Had to felt a piece of wool before tackling the applique on Henreitta Whiskers...I am having so much fun with this BOM since wool applique is new to me. All five months of Anne Sutton's BOM are available for free...just hit her button at the top of my blog to go there. I'm so thankful to live in the United States of America. 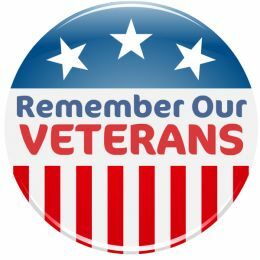 Thank You to the men and women who have defended our country. Thank You to their families. Many times their personal sacrifice is great though they are just "ordinary" people. Something extra happens and they become extraordinary. Memorial Day is quite often one of the best weather weekends we have so I've been spending most of it outside. But with the sun setting later and later I find myself working late into the night so I have made a little progress. Sewing away on the border blocks. I made templates from EQ7 to cut out the borders...I really enjoy EQ7! Check out my newest favorite toy...the Cutting Gizmo. If you are a chain piecer this is a must. I wish I had thought of this 10 years ago! It's a single razor blade in a smart little holder that allows you to cut the thread between your chain-pieced units. It comes with extra razor blades that just push through the side to change out quickly. Ingenious. I think it was about $14...of course I got a discount on that price as I waited for a sale day at my local quilt shop. Gotta hurry and get outside. The parade of blooming perennials is just starting. Bergenia...typically a shade lover but I've had her in full sun for ten years...she loves it there...front and center in my perennial garden. Rose of China...shrub that is one of the few spectacular early bloomers in our area...it's just starting to burst. I really had to baby this plant for a couple years but now she is so happy. And my absolute favorite...a rock garden plant...Spring Cinquefoil or Potentilla Verna. I subdivide this plant regularly...it grows in a lovely mounding habit...great for edging a border. We are starting to build a home and I plan to dig up several of these and take them to our new home...I'll have our acre lot full in no time. It's one of the few plants moose leave alone. So much to get done during our short summers. It feels a little overwhelming right now. Plexiglass with a dry erase marker!!!!! I can test a quilting design right on top of my quilt. After my back breaking chore of washing the dogs on Monday I treated myself to a trip to the nearest home improvement center and bought a sheet of plexiglass. (I know...I did think about ice cream as a better treat but a girl's got to have her priorities.) I bought a sheet 24x48 inches and had it cut into 2, 24-inch squares. 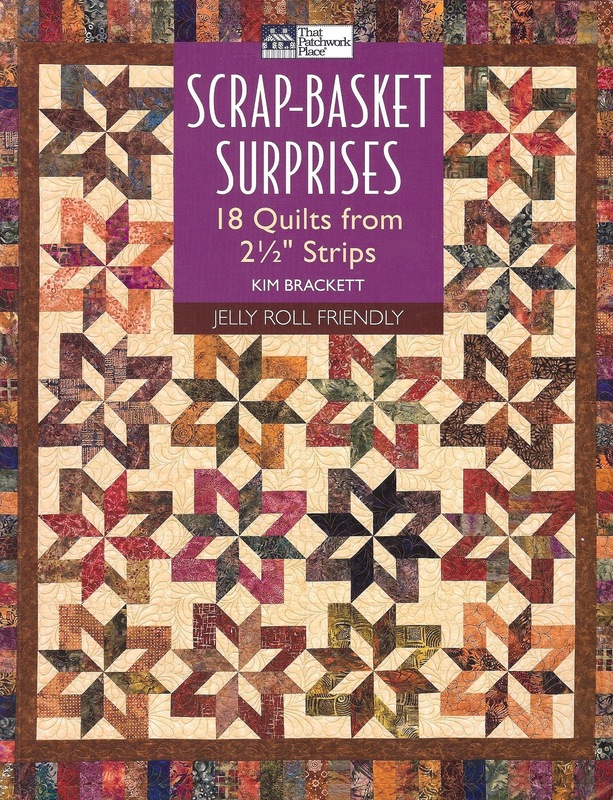 This has rocked my quilting world! This is Jenny...she is sneaky...I have to keep her on a leash or risk having her run away. About a year ago on one of our walks she decided to run away...it was very scary. Another dog walker showed up and when Jenny went to say hello I yelled for the gal to grab Jenny. We were getting near a very busy highway so there was extreme panic in my voice. Jenny...don't you know how sad I would be if you ran away? I always think of a Farside cartoon that shows a cat and dog. The dog says to the cat, "They keep me on a leash because they don't want to lose me." This is sweet Forrest...he's always right by my side. He does love to run ahead and crouch on the path in front of us so he can pounce on Jenny. Jenny tries to hide behind me. It all entertains me very much! Yesterday, after our walk, it was bath time. They smell so nice! I finished my version of Kim Brackett's, Snail Takes a Detour from "Scrap Basket Surprises." Too big for the design wall...78x88. All the teeth around the inner border were made from the scraps of the stitch and flip method to make the HSTs for the main blocks...212 pairs of triangles were needed to make a 1 1/4-inch finished square. I had to do math to figure out the surrounding borders since the rest of the the quilt is based on 2 1/2-inch strips that finish at two inches. I almost feel as frugal as Bonnie Hunter. The best news is I got my math right! Story problems were always my weakest skill in the math department. I also want to point out the corners of the piano key border...they are partial log cabin blocks. I saw that on Thelma's blog at Cupcakes "n" Daisies. That will become my default corner block for piano key borders. Now I really need to take some time to quilt on Marta...so hard to spend hours on the longarm when the weather is so temperate outside. The leaves are popping out on the birch trees! Almost done cutting...just need the border blocks. Here's a peek at my design. I'm planning some applique in the two side strips...fish to mimic the theme fabric. I've named this quilt, Talkeetna Trek. Talkeetna is my husband's favorite king salmon fishing hole. It is one of the most beautiful towns in Alaska. Talkeetna River and Susitna River converge on the town's border and give you a magnificent view of Mt. McKinley. Pictures never do it justice. The Kings start running in late June so once again I feel like I'm working with a time schedule based on Alaska calendar events. I just had to join the party at Amy's Creative Side...she's hosting a Blogger's Quilt Festival. There are so many wonderful quilts to look at! Here's my entry. Spinning Bali Sea Stars which was inspired by Kim Brackett's quilt/block, Bali Sea Star. this was one of two designs I came up with by playing on EQ7. This is the other design I came up with but that meant ripping stars apart. This beauty is my "IditaQuilt," made during the running of this year's Iditarod dog race. Oops...I digress...as you can see Kim Brackett's block from the cover of her book really inspired me. The nurseries are a busy place in my part of the country. It's not "safe" to put out annuals until Memorial Day weekend but plants disappear quickly around here and it takes a couple of weeks to harden them off so that's what's taking priority right now. After I brought my new plants home I realized where my inspiration for my flower colors came this season. I have started working out my latest quilt design...EQ7 is wonderful but you still have to figure out how to go about putting the blocks together...I'm getting there. I'm trying to be "smart" and come up with the easiest method while being frugal with my fabric. Mother's Day was lovely. We went to see the Blue Man Group for an afternoon show and then out to dinner. My husband gave me a beautiful platter made by a local artist, Romney. She hand paints on Dansco clogs but it seems a girl only needs so many pairs of clogs so time to get some pottery. Forget-Me-Nots are the state flower for Alaska. There are all these textures in the design that don't show in the photo...I love it! I plan to throw them in an inner border. I will finish it off with a piano key border...hopefully I'll get that done this week. Handsewing the binding on my LQCA quilt. My home really needs some spring cleaning...the dogs need bathing...I need to start acquiring planting needs for the yard...oh...and clean up the yard...you see where I'm going here...feeling overwhelmed with the "To Do List." But quilting must not be ignored. I am trying to focus on original designs and using fabrics I have in my collection. Being indecisive and designing are not a good mix. This is the second set of fabrics I'm working with...very similar. This design is going much better and I am actually ready to start making this one...wait...maybe not. I'm not sure about the finished size I want for this but I love the design. My design wall is full. 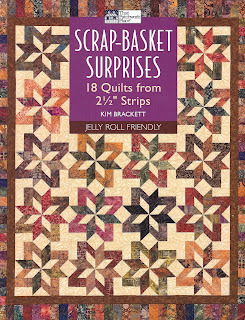 This is Snail Takes a Detour from Kim Brackett's book, "Scrap-Basket Surprises." Short and sweet - have a great day! It's a better day than it's been in many years. April's UFO -"Calling me Home," is complete. (I did find two river rocks that didn't get top-stitched...I'm going to fix it today...really). If you are tackling a Mckenna Ryan design check out my post about quilting this top here and there...you can learn from my mistakes experiences. Parade of Nutcrackers - For the saga behind the quilt check out the posting for it here. And just what will May's UFO challenge be? This is my #9 UFO...a Moda U quilt. It needs borders, quilting and binding...easy one!